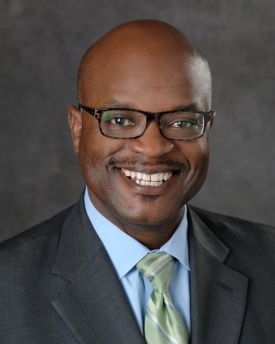 Alfonzo Alexander serves as Chief Relationship Officer of NASBA and President of NASBA’s Center for the Public Trust (CPT). As Chief Relationship Officer, Alexander leads the Office of Relationship Development, where he provides strategic leadership to NASBA’s Communications, Marketing, and Meetings Departments. He also oversees the leadership development, employee engagement activities, diversity and ethics compliance for the organization, while facilitating special projects working with the CEO. Alexander became President of the CPT in January 2012. As the CPT President, Alexander leads this ethics and leadership organization’s day-to-day operations and the growing number of CPT programs. Under his leadership, the CPT has established new partnerships and built programs on nearly 100 college and university campuses across the United States, established Ethical Leadership Certification and Training Programs, and grown its Being a Difference Award Program. In 2015, Alexander rebranded his consultancy to Proventus Leadership Group, LLC. Through this business, Alexander and his team provide leadership and strategic business consulting and training services for companies throughout the United States. Alexander is a business school graduate of Tennessee Tech University. He also earned an MBA from Lipscomb University, and completed an Executive Leadership Program at the Wharton School of the University of Pennsylvania. He is also certified through several organizations as a facilitator and is a certified professional coach through Coach Training Alliance. In 2017, he received the Distinguished Alumni award from Delta Mu Delta International Honor Society in Business. Alexander has a passion for working in the community. He is a member of Sigma Pi Phi Fraternity. Currently, he serves as on the audit and executive committees of the board of directors for the Memorial Foundation. He is the Immediate Past-Chairman of the board for the 100 Black Men of Middle TN. He is a graduate of Leadership Nashville. Because of his commitment to education, Alexander serves on the Board of Visitors for the Lipscomb University College of Business, the International Board of Governors of Beta Gamma Sigma, Metropolitan Nashville Public Education Foundation, and the Sponsor Advisory Group for the PhD Project. Additionally, Alexander is a board member for the New Level Community Development Corporation, Fellowship of Christian Athletes of Middle TN (Past Chairman), Youth Encouragement Services (Advisory Board & Past President), and is a former member of the Metropolitan Nashville Sports Authority Board of Directors.